Staged on 29 March, the operation is the latest in a series designed to help reduce the number of people killed and seriously injured on the county’s roads through a combination of engagement and enforcement. An operation held in Canvey Island on 24 January led to 35 drivers being stopped for speeding offences; while in Basildon on 8 January, three people were arrested on suspicion of drug driving. 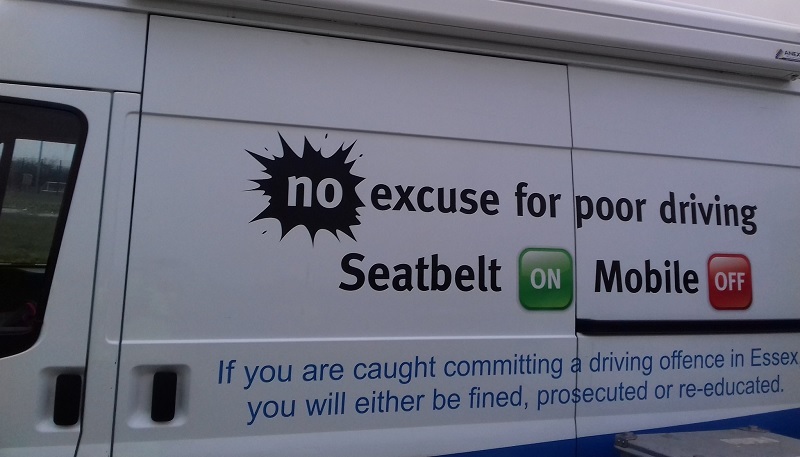 During the Loughton operation a further 19 drivers were found to be driving while using a mobile phone; with each driver receiving six points and a fine. 11 drivers were caught speeding – while a further 11 were found to be driving without a valid MOT. Two drivers were found to be driving without valid insurance and both had their cars seized under Section 165. One driver was found to be driving while disqualified. “Driving without wearing a seatbelt poses a serious and potentially fatal risk, not just to you but to everyone else in the vehicle at the time.